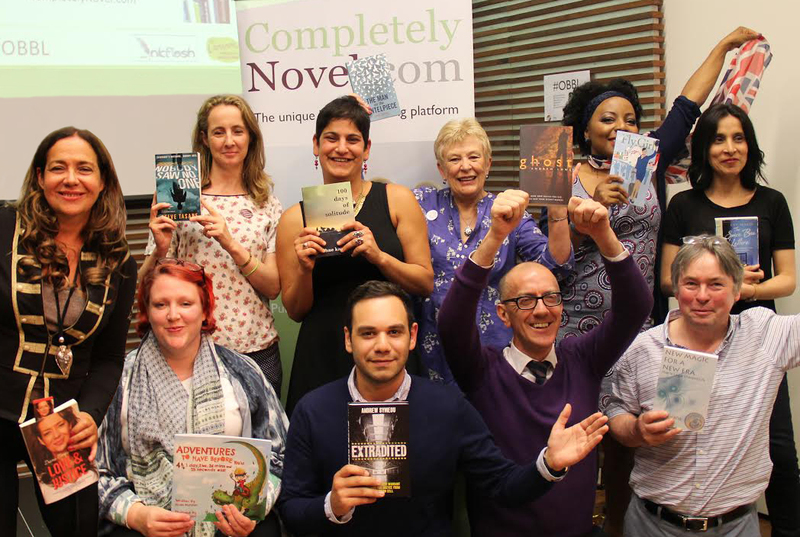 Free Word Centre, Farringdon was the best place to be on Wednesday 3rd June where ten amazing winning authors were celebrated on one night. 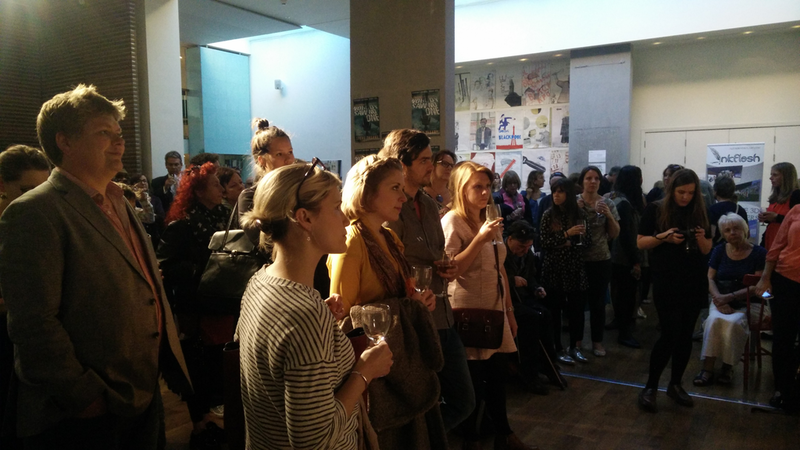 It was a completely novel way of a literary night with a free atmosphere, as the venue name suggests authors freed their words, the tickets and beverages were free for guests and press and it had an open space interior. What's more, unlike a literary night where authors read from their books or are interviewed and the audience sit and listen, sometimes feeling restricted, this one was different as authors moved and mingled within the standing audience freely. It was a combination of an uber-cool literary festival blended with the vibes of a popular music concert. As each author stepped to the stage spotlight, Completely Novel publishing team pulled the party poppers. First up was Steve Tisane, represented by agent James Catchpole and Tisane's video played of a reading from his book Nobody Saw No One, I felt like he was with us. Then the delightful Daphne Kapsali whose speech had my friends and I inspired about how she quit all to follow her dream and managed to do and write 100 Days of Solitude. Andrew Symeou told of his courageous battle with the law as he was wrongfully accused of manslaughter, his story Extradited is very touching. Janet Deny read from her book The Man on the Mantlepiece, she kept me in suspense and I just had to do my journalism afterwards to find out more about her intriging story. Nicola Mortimer next speaker, her book Adventures to have Before... caught my eye on when i arrived as I admire children book writers, and Nicola told me that it was her second time on trying after problems with first publishers. After a networking/beverage break we continued to hear the most inspirational Diana Morgan-Hill who showed her sense of humour before reading from her empowering memoir Love and Justice. Coincidently I was placed next to Tom Evans, who we had previously collaborated together in an anthology Born For This, and that night we noticed many more coincidences between us. He was the epitome of freeness as he was so relaxed and engaging as he spoke about his current book New Magic for a New Era, having written 11 books. It was also a coincidence that he had worked in the same venue years ago as a broadcast engineer, probably why he was so chilled in the space. The lovely talented and award nominee of the Jerwood Fiction Uncovered Prize Eve Makis for The Spice Box Letters was up just before I was, she had brought some delicacies to her display table, they went quick as her books did too. Penultimate author was myself, starting with some spoken word poetry on my book A Fly Girl, then I spoke about what inspired it, followed by reading some secrets, a hilarious excerpt. The grand finale was Andrew Lowe author of The Ghost, who closed the author presentations with his great sense of humour. Sarah Juckes thanked her event partners from Book Machine, authors and everyone for coming and we signed and sold more books and networked before moving on to the VIP afterparty at the Betsy Trotwood next door. I am so grateful to Sarah Juckes and her great team at Completely Novel, who have been a pleasure to work with. I am still on the winning buzz and thankful for that opportunity to be platformed at an electric literary event, One Big Book Launch. Photographs courtesy of Samantha Perkins. @Sam_Publishing. The blog post is having nice and wonderful complete novel also. The educational related items are available in online. The best essay writing service is posting good and quality writing papers also.